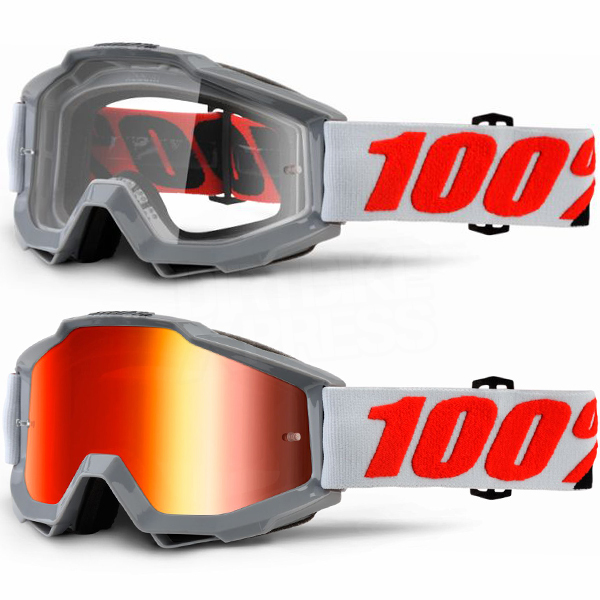 4 - Lens: Anti-fog coated Lexan lens for flawless vision. 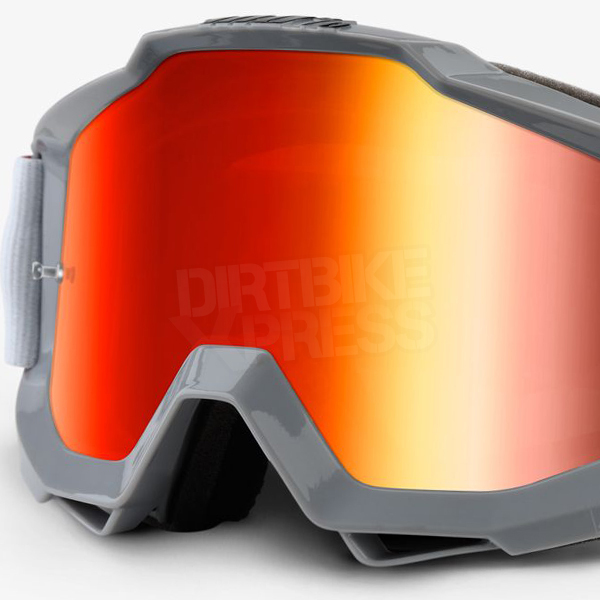 The frame has a raised section at the top of the lens to offer a bit more vision, and the peripheral landscape is incredible. 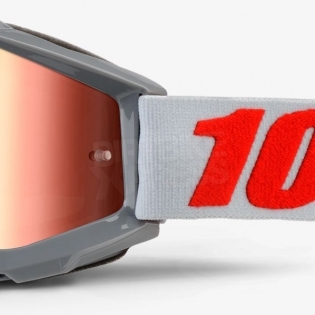 Most riders prefer a clear or mirrored lens, but 100% goes the extra mile by including both lenses with these goggles. 7 - What's in the Box? 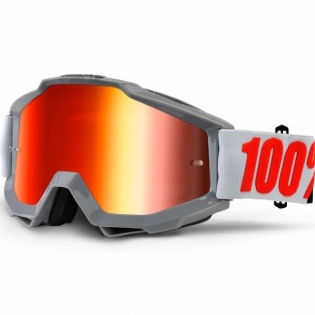 : The Accuri goggle arrives with a Mirrored Lens and an Extra FREE Clear Lens.